Hundreds of refugees are feared dead in two separate shipwrecks in the Mediterranean and Aegean. More than 100 bodies have been recovered off Libya’s coast. The death toll is feared to rise. According to journal.ie, coastguard spokesman Nikos Lagadianos said at least 340 people had been rescued, and the International Organisation for Migration (IOM) said the vessel “is believed to have left Africa with at least 700 migrants on board”. 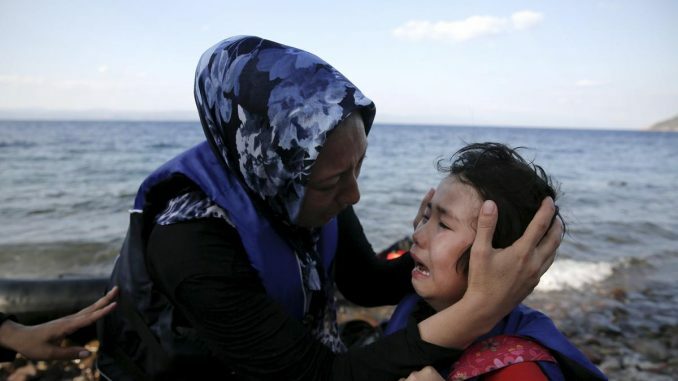 In the recent weeks more than 1000 refugees have died in the Mediterranean. The EU-Turkey deportation agreement has forced the refuges to more dangerous routes. The conditions from which the refugees are fleeing have not improved. Furthermore, hundreds of thousands of refugees are stuck in overcrowded camps in various countries in the Middle-East without any international protection and recognition of refugee rights. Refuges are facing poverty, lack of employment rights, homelessness and other health and social problems. Many of the refugee children don’t have access to education. Europe has not fulfilled its humanitarian, political and historical obligations to help the refugees and provide protection. Since the beginning of the current refugee crisis in 2011, the European leaders have devised various strategies to stop the flow of refugees without admitting the reasons why people are fleeing. The policy discussions have taken many racist turns and repeatedly refugees have been labelled as opportunist migrants. Fortress Europe policies are forcing refugees into more dangerous routes. Having no choice many refugees trust their lives and the lives of their children into the hands of smugglers.